Treat them to something sweet! 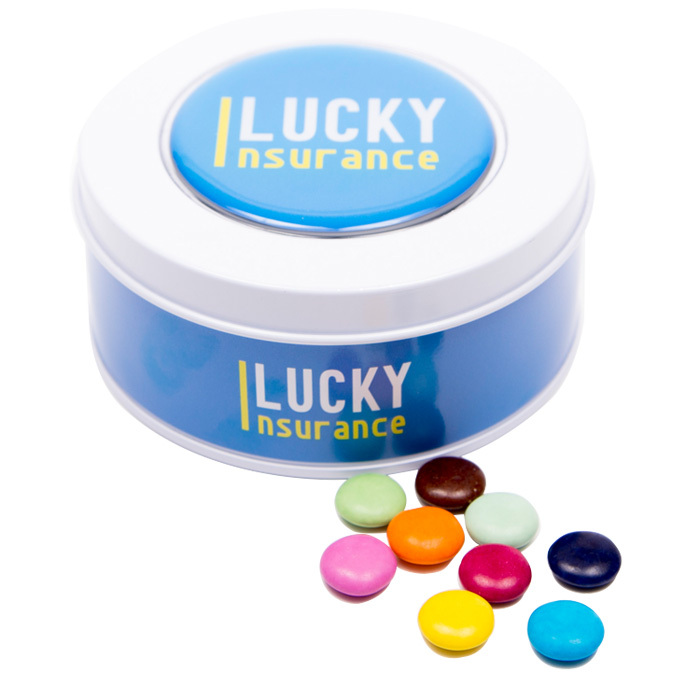 White gift tin containing 135g of milk chocolate beans covered in a coloured crispy sugar shell. A great promotional gift customers are sure to appreciate. Option to have either a mixed selection or with 12 to choose from why not fill with the colours of your choice to match your logo or artwork! Price includes a full colour print to both the domed label on the lid and the wrap around label.